Daryl Ong, an animator of the Super Inggo cartoon series, hits it big when three coaches turn for him on his The Voice blind audition. 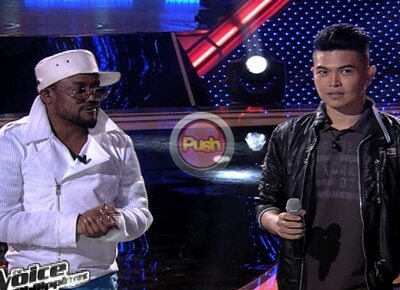 After singing the song “Paano,” Coach Apl found his voice the “pang-harana” type, Coach Lea thought that he has beautiful voice and tone while Coach Sarah commended his smooth voice. Daryl told the judges that he is continuously inspired by his son despite their being miles apart. He then ended up choosing to be on Apl’s team. Apl then brings out the Grammy award he shares with his group the Black Eyed Peas to further inspire Daryl in his chosen craft.